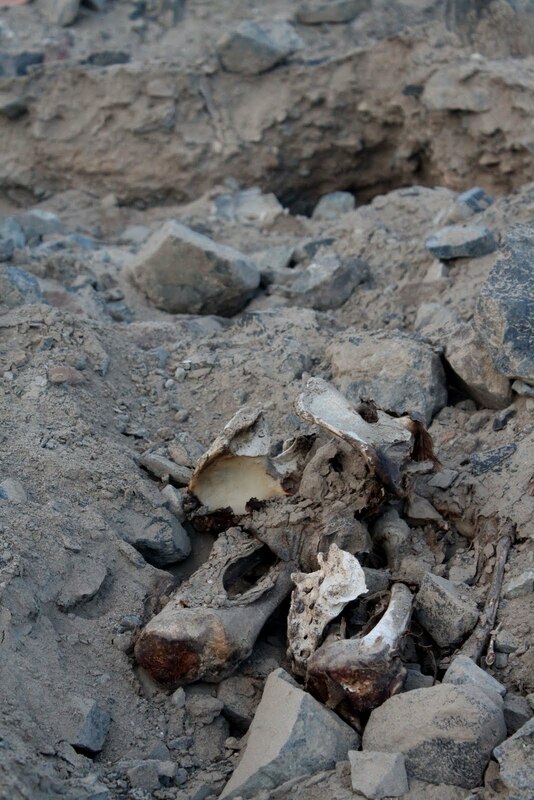 These human remains are from a heavily looted site on the flanks of Cerro San Cristobal, Huaura Valley. 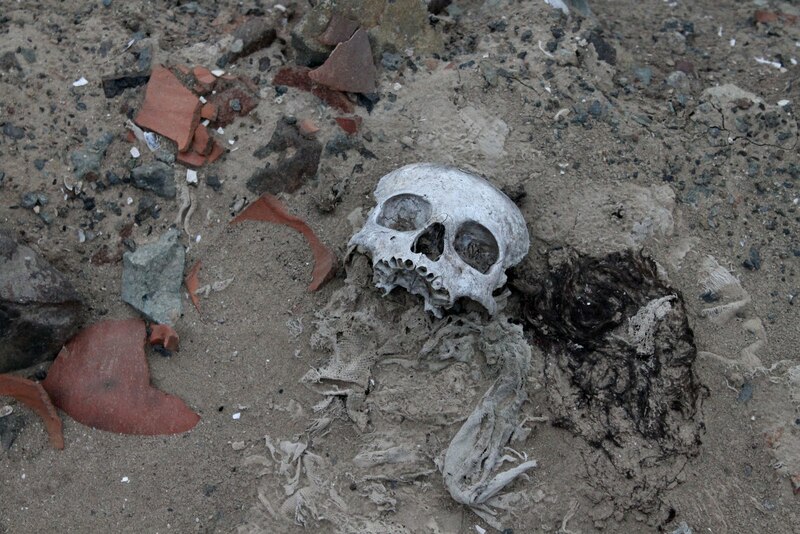 People living in the neighboring hamlet know that looters visit the site. While they are wary of outsiders, they do not stop the intruders. One woman indicated that as long as she gets her huaco (typically a decorated pot), she doesn't mind. While I was visiting the site she came out looking for me to be sure that I gave her a huaco. She was quite disappointed when I explained there would be no huacos.